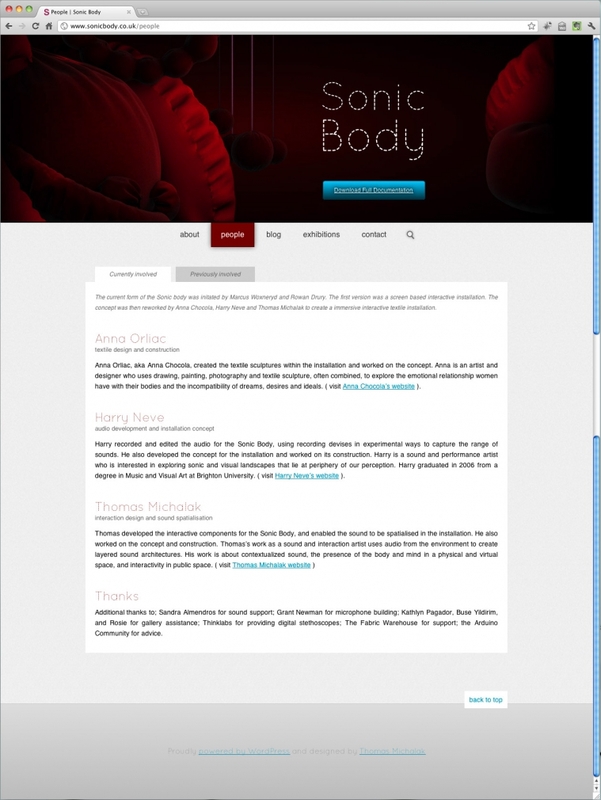 Brand new design and html5 rework of the Sonic Body website. 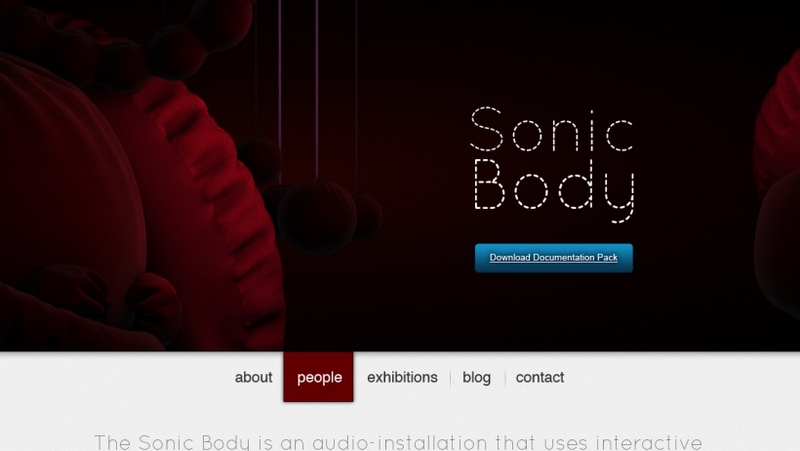 It’s all been simplified, enlarged and made it easier for visitors to get infos about the installation and download the “requirements pack” to present the Sonic Body in the exhibitions, festivals or fairs. The Main header was created in Cinema 4D. I used Clothilde, the cloth engine, and was inspired by this cushion technique by Rob Redman to give some realism to the textile sculptures. The whole website was conceptualized, design and coded in a bit more than 19 hours spread over a few weeks. 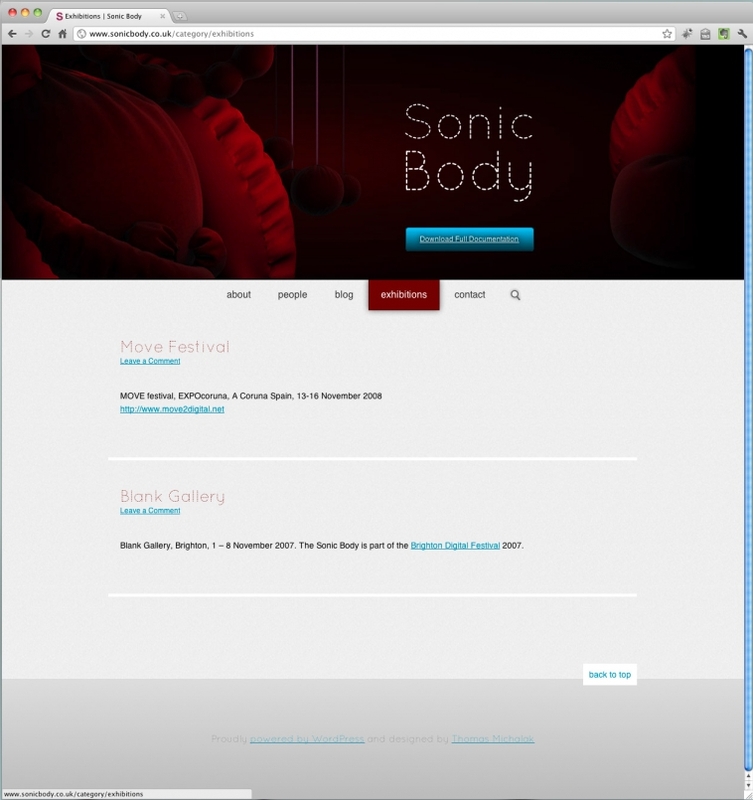 I also used the new media query which people refers to as responsive design. 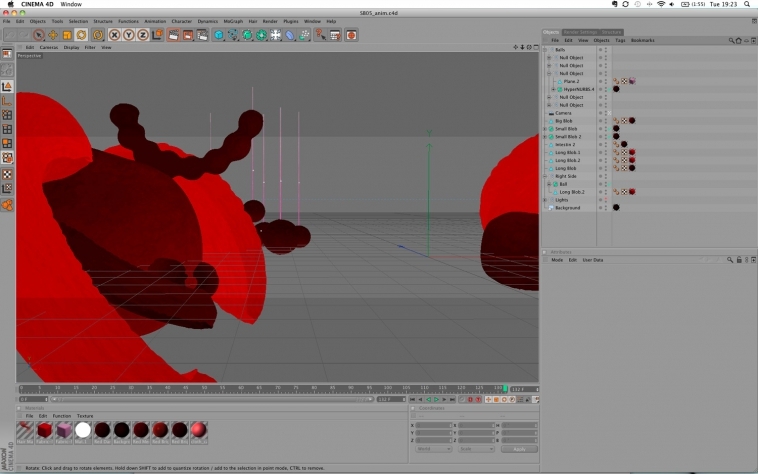 It’s great, very useful on simple designs and easy to use as it only relies on css, which is what web designer knows. 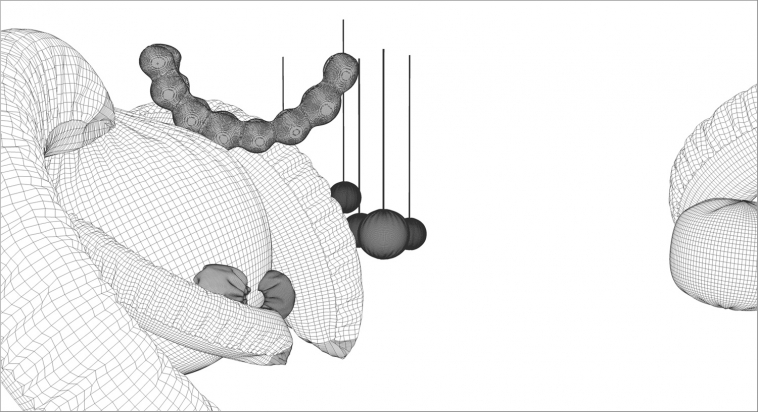 It’s like an upgrade to fluid design. But managing different devices with php might be still more powerful as it doesn’t rely on screen resolution. For example giving lighter images for mobile users who often use their mobile on 3G. Soon smartphones will have the same or an higher resolution as netbooks or or older laptops and you won’t be able to rely on media query to categorize devices.